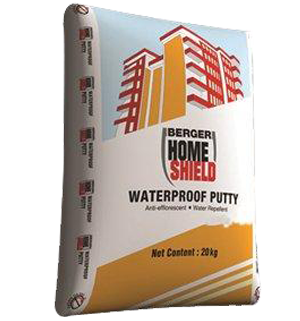 Waterproof PuttyWATERPROOF PUTTY is white cement based premium quality putty with some special unique properties. This ready to use, inimitable variety powder putty can be used externally or internally on concrete/mortar substrates to provide smooth aesthetic finish & extended life of top coat paints. Established in the year 2006, at Noida (Uttar Pradesh, India), we “ Krishna Sales Co. ”, is Sole Proprietorship (Individual), based company, engaged in Wholesaling, and Trading of Sika Construction Reagent, Fosroc Concure WB White, Dr. Fixit Waterproofing Reagent, Tiling Adhesive, Thermal Insulation Sheet, etc. Under the direction of “G.D. Mittal”, we have achieved the highest place in the industry.